What you need to know if you - or someone you know - have a child or young person living with you who is not a close relative. Private fostering is when a child under the age of 16 (under 18 if the young person is disabled) is cared for by someone who is not their parent or a close relative. For this purpose, 'close relatives' are defined as grandparents, brothers, sisters, uncles or aunts. a young person has fallen out with their own family, and lives with a family friend. they are a host family for an overseas student at a nearby private school. a person's partner has gone away for some reason, and left their birth child with you. If you - or someone you know - are in a similar situation, and have a young person living with you who is not a close relative, you’ll need to make your local authority aware. As this is a private arrangement it might not be something that the local authority and other agencies are aware of. However, it’s something that your council needs to know about, as it is the council’s responsibility to safeguard the welfare of all children and young people. Privately fostered children can be vulnerable as they will have gone through a period of change, and won’t see their family often. Because of this, it’s important that we assess their needs and check to see if they are ok.
We also want to support you as a carer, explain the process to you and advise you of your responsibilities. Support will be through regular visits from a supervising social worker and access to training. What is the law behind this? Schedule 8 of the 1989 Act sets out the role of the Local Authority in more depth, updated by Schedule 8 of the 2004 children Act, making clear the duty to promote public awareness of private fostering. Children living with people who are not close relatives, such as a cousin, great aunt or friend need to be assessed and reviewed under Private Fostering Regulations to ensure the placement is able to safeguard his / her welfare. After you’ve been in touch, you’ll be referred to our Strengthening Families team, who will come and visit you and the young person in your home as soon as possible. Following a successful assessment, you (as the young person’s carer) will receive on-going support from our team, including support visits. If you have a young person living with you, and they are not a close relative, you need to contact us. You can email us at childrensduty@leics.gov.uk and someone will get in touch to answer some of your questions and arrange a visit or you can call the first response team on 0116 305 0005. 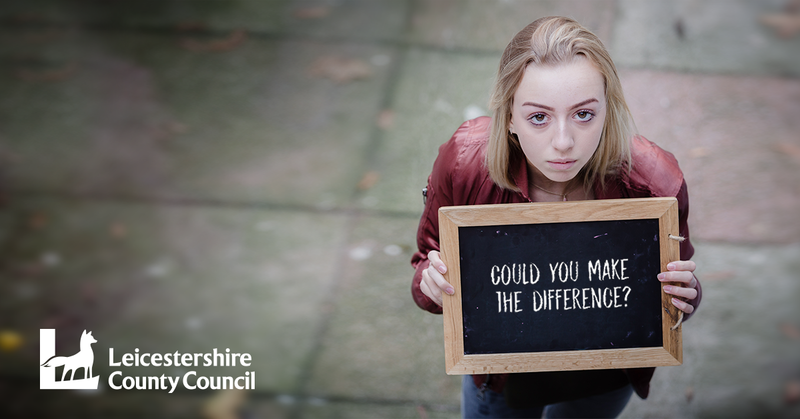 The Leicestershire Safeguarding Children Board has further information on private fostering.